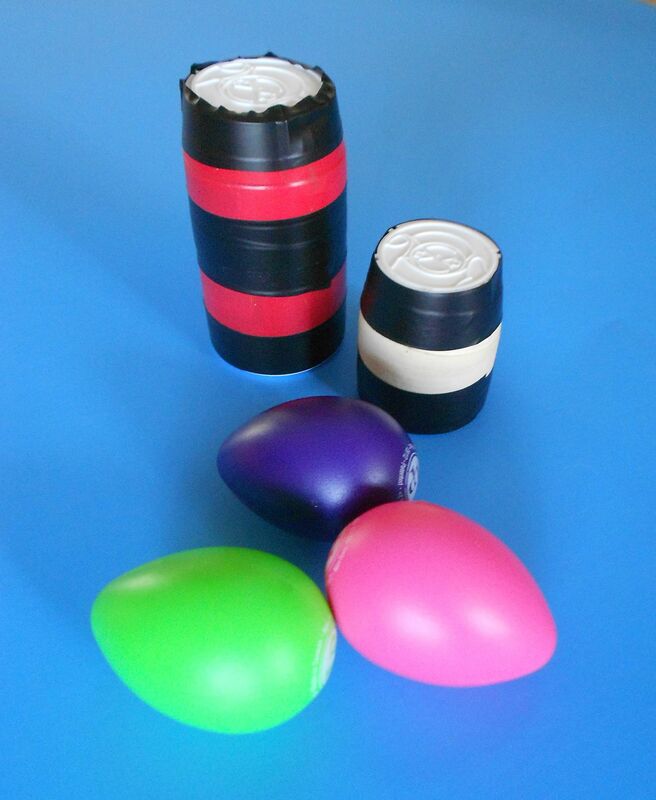 And since we’ve got eggs and Easter eggs on our mind, here’s a fun, absolutely child-safe version of shaker eggs that are a great way to add music to any Springtime celebration. Here’s wishing you a happy Springtime and lots of egg-citing times! 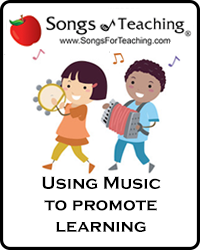 Although we mainly cover music topics in this blog, crafts are also a wonderful ways of spending time with children while cultivating a love of world cultures. And few Springtime traditions are as breathtaking as real pysanky, carefully made and guarded over the cold months of winter and then brought forth in an Easter Basket. As a young girl, I remember staying up late to see the Midnight services and watching the Russian priest pick his favorite eggs from the church-goers baskets. 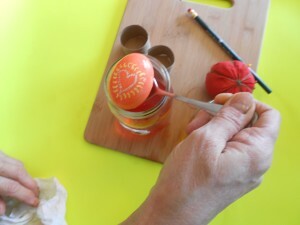 Making your own simple version of pysanky is a great way of exploring Ukrainian culture and celebrating the coming of Spring! Here are the supplies you’ll need for this craft: pencils, straight pins, wax candle, uncooked eggs and food dye. Cut up a toilet paper roll for simple egg holders. You will also need a several paper towels and a few soft tissues as well. First, take the eggs out of the refrigerator and allow them to come to room temperature. Applying wax does not work well on cold eggs. 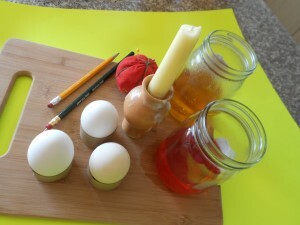 Also, mix up your dyes and allow them to cool, so they won’t melt the wax that’s being applied to the eggs. 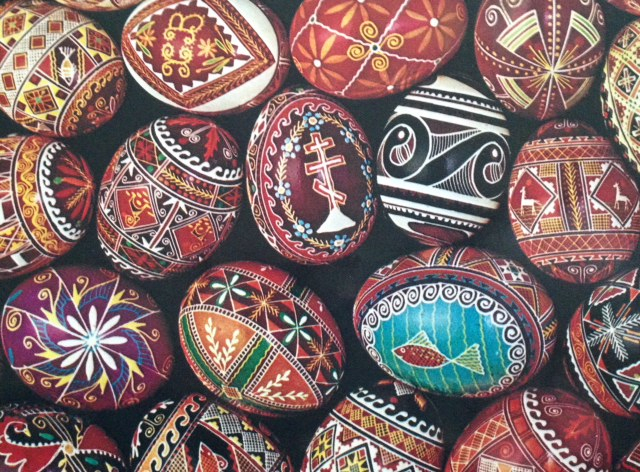 For traditional pysanky, a kitska is what draws the intricate patterns on the eggs. It’s a small stick with a little funnel attached to direct the hot wax. 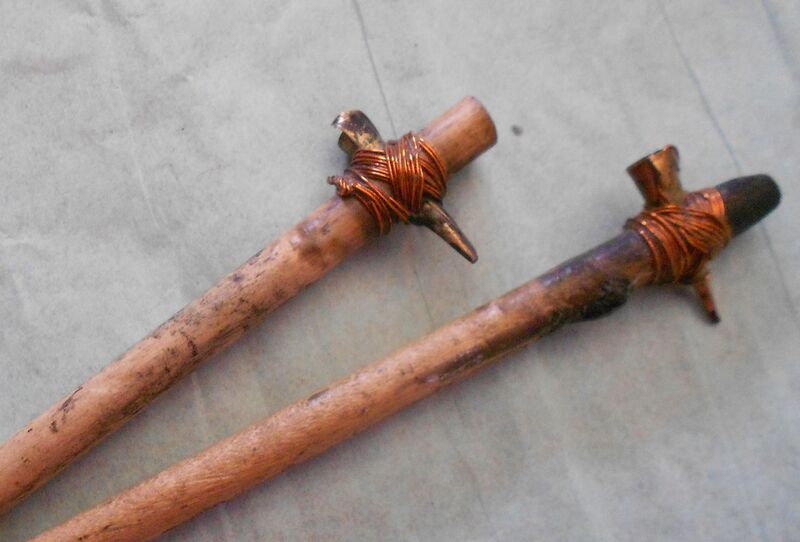 Here’s a close-up of two well-worn kitska tools. To make a simpler version of a “kiska” tool, push a straight pin into the eraser end of a pencil. Use several pencils and try different “heads” on pins. This makes for various design possibilities. If you like, use the lead end of the pencil to draw a simple design. 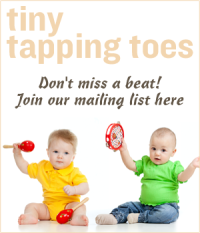 Think in terms of small dots or “tadpole” markings. If you don’t mark your egg with pencil, you can create a free form design. Either way works perfectly. 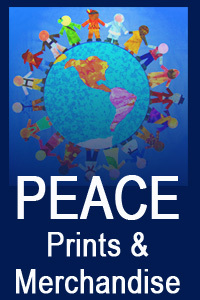 Before you light the candle and begin decorating, go over a few safety guidelines. Make sure no one is wearing long sleeves that can get close to the fire and that everyone is seated and can work on their egg safely. Then, light the candle and let it burn for a few minutes so there is a small pool of wax below the flame. Next, dip the tip of your pin into the wax pool and move it quickly to the egg making one dot at a time. This can take a bit of practice as the wax cools quickly. Try to have fun with the process until you get the hang of doing it. Once you master it, you can also make a “squiggley” line by heating the pin head in the flame, dipping it in wax, touching it to the egg and then dragging it a bit to make a mark that looks like a little tadpole. 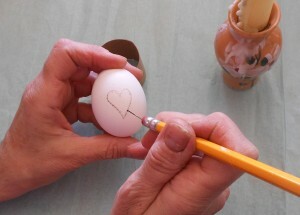 Since you’ve started with a white egg, make any dots or markings that you want to remain white when the egg is done. For instance, if you want a heart design to be made of white dots, make them now. When you’ve finished applying wax in areas you wish to remain white, you can put your egg in a light colored dye. I’ve picked yellow here. After the egg is colored well, take it out and add another layer of wax dots or markings. For this egg, I added some wiggley lines, intended to be yellow, around the heart. When that was done, I put the egg in a red dye bath. You can color your egg in any number of dyes, but always go from lightest to darkest, ending with your final dark color such as red or purple or dark blue. 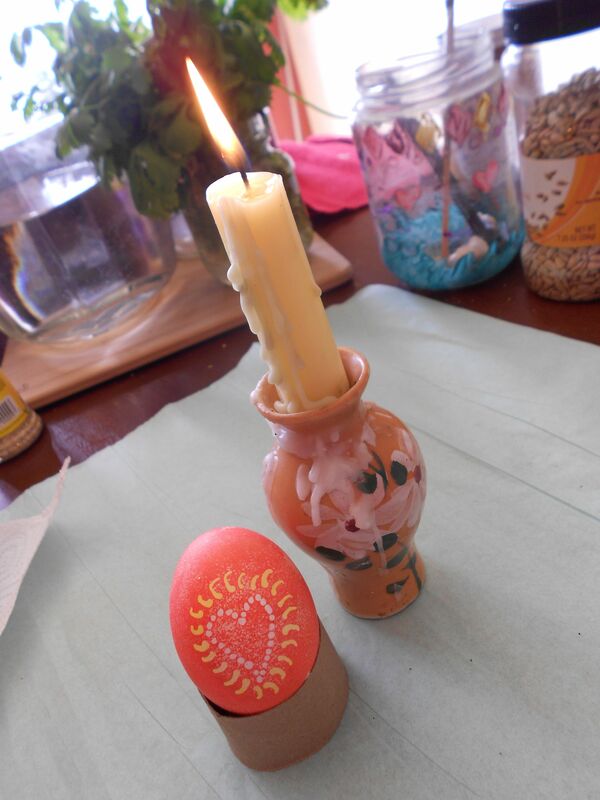 With real pysanky, there are special non-edible dyes that are really bright. 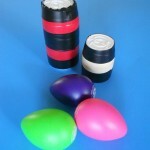 Many pysanky end up being black as a way of show off the bright and beautiful colors made by the wax designs. Finally, it’s time to remove the wax from the egg. This is my favorite part of the craft! You start with an egg that looks – well, ugly! It’s coated with dark wax and all blobby. 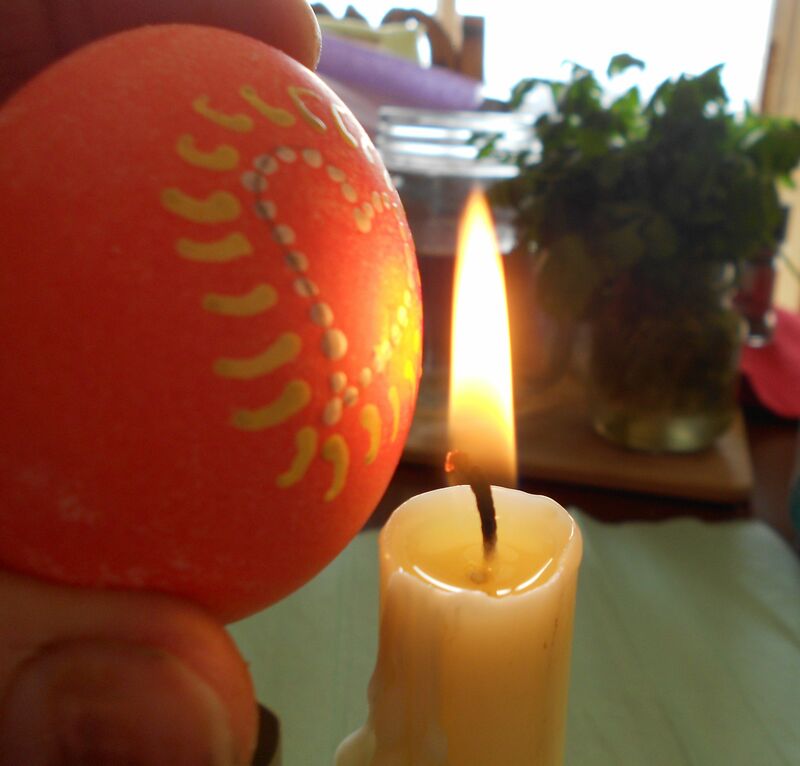 As you hold the egg carefully next to the lower area of the flame, the wax heats up and can be wiped off with a soft tissue. This uncovers the pure and beautiful colors hiding beneath. One hint on this last step. Make sure you don’t hold your egg near the top of the candle flame because you might get a layer of black soot. 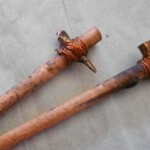 It takes a bit of practice to get this right, but the results are worth the practice! Although eggs are a universal symbol of hope and new life, pysanky play a special role in Ukrainian folklore and culture. Here are some wonderful books about Easter eggs and Springtime miracles.